There’s nothing worse than seeing a low disk space message on your PC after updating to latest Windows. The feeling of running out of storage space is worst, which is why the habit of deleting old photos, videos, files to make space for new ones. But there are other better ways to free up storage space on your device rather than deleting your dear memories. When you see a message that reads low storage space your first step should be to check for unwanted software installed on your machine that are taking up valuable disk space. However, if you see this message after updating to latest version of Windows 10 – April Update, then you need to know, Windows keeps copies of previous versions too even when the latest update is installed. This is done so that the user can revert to the old version i.e. Fall Creator update in case he doesn’t like the latest update. But, as we know the latest Windows 10 April 2018 Update is bundled with many new productivity and security features, it’s worth upgrading. Still, if you are worried about the storage issue, we are here to help. In this blog we will explain to you how to reclaim gigabytes of drive space by removing previous versions of installation Windows files. You can do so by using two most common methods. 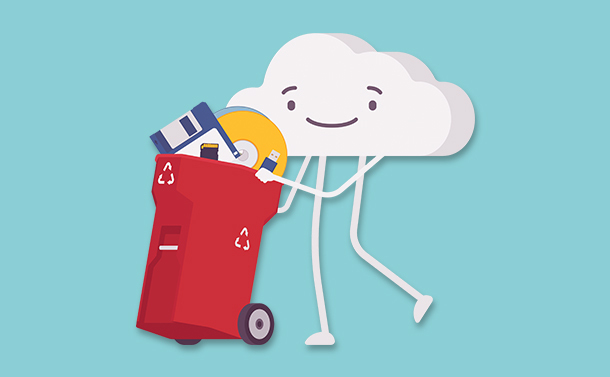 The easiest and simplest of all is using a Disk Cleanup Application. Apart from this you can also free storage space via settings. For this you may need to follow certain steps. See Also: Long Awaited Windows 10 Update Is Finally Here! Type Disk Cleanup in Windows search bar and launch the application. Next select the disk partition, by default your system drive will be selected. Don’t change it, click OK to proceed. Now, click Clean up system files button. In the new window that opens again click OK and Disk Cleanup calculates the space that will be freed up. Now tick the box next to Previous Windows installation(s) and click OK. This way you will be able to remove the previous Windows installation files that were taking space on your machine. Deleting older version of Windows installation file using settings require you to follow certain steps, but it will show you how much space you’ll get back. Open settings by typing it in the Windows search bar. In the new window that opens from the left pane click on Storage. Under Storage Sense, click on Change how we free up space automatically. In the new window that opens check the box next to Delete previous version of Windows and then click the Clean now button. This way you will be able to clear preinstalled Windows update and get some free space. Hope you liked our article and found it informative. If you have any feedback or want us to add more information please let us know. Your suggestions are valuable for us.